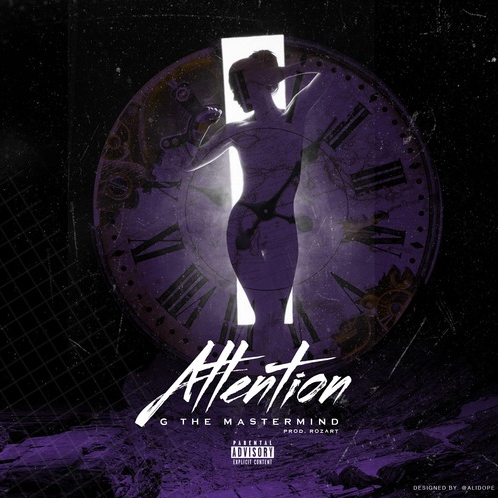 New Music: G The Mastermind "Attention"
Home > DMV News > More DMV News > New Music: G The Mastermind "Attention"
About Track: G The Mastermind is back at it again with his newest single, "Attention". In this track, the "Murder She Wrote" singer returns with another crooning story-line that focuses on the struggle between the attempts of a man to suffice the attention needs of his girl. This time rather than giving a one sided account, G takes you through a full dialogue between the two lovers. The track produced by Rozart, is much more calm then the previous single with and a galactic flair. And as usual with his mastermind story telling, it is sure to take you on a familiar journey of both hardship and love.